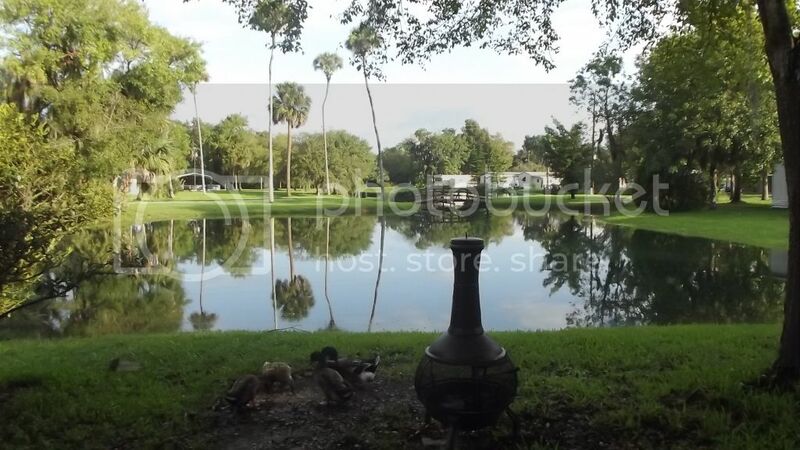 In Florida, we lived in a mobile home park and our place had ponds on 3 sides. One was just a few feet from our door. There were ducks living on the pond, and we started feeding them floating pellets. One day I noticed a yellow bellied slider (Big Momma Moss, or Momma) eating the pellets. Over a period of at least 6 months, I gradually coaxed her in closer to shore until one day she took a pellet from my hand. 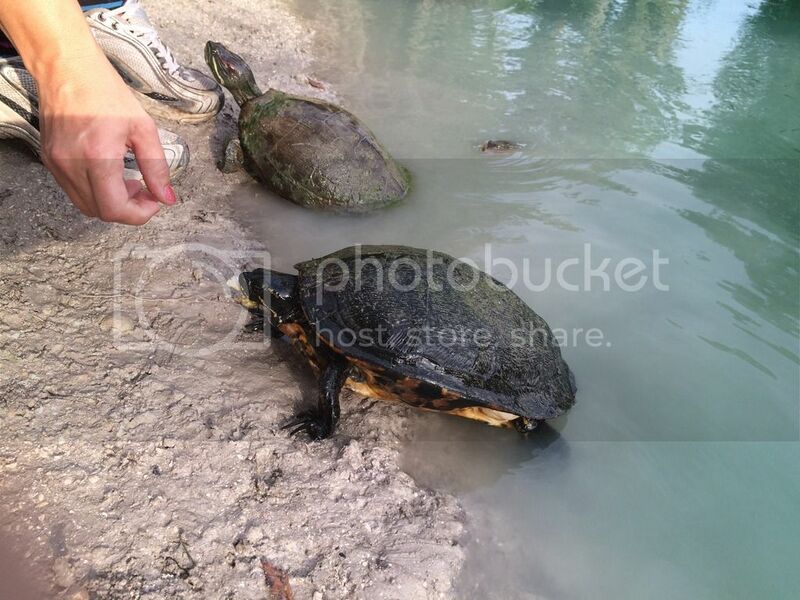 Over the next couple months, other turtles saw me feeding her and joined in. Eventually we had hand fed nearly 2 dozen individuals. 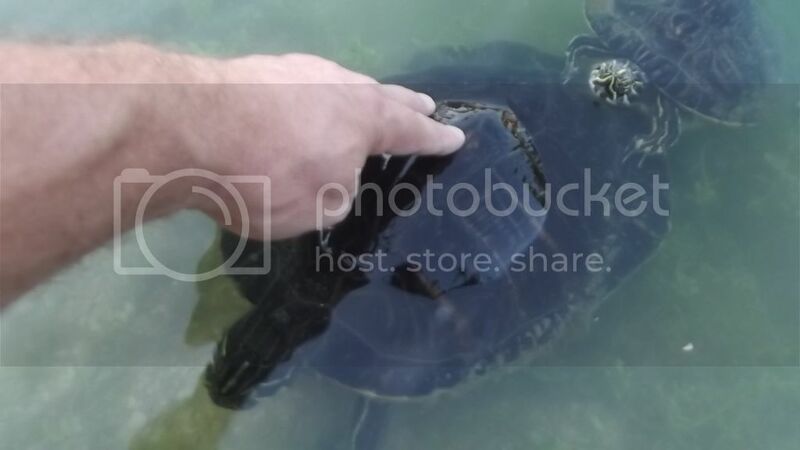 After living in Florida for 26 years, feeding those terps is the only thing I miss. This is me with Amber. Red-ears are not native to FL but we counted 5 in our little pond. Amber was awesomely friendly. She would sit on Dar24's (my wife) foot and wait for her treats. If we had a place to keep her when we got here, we were seriously considering bringing her with, but couldn't just take her from a pond and put her in a tank. 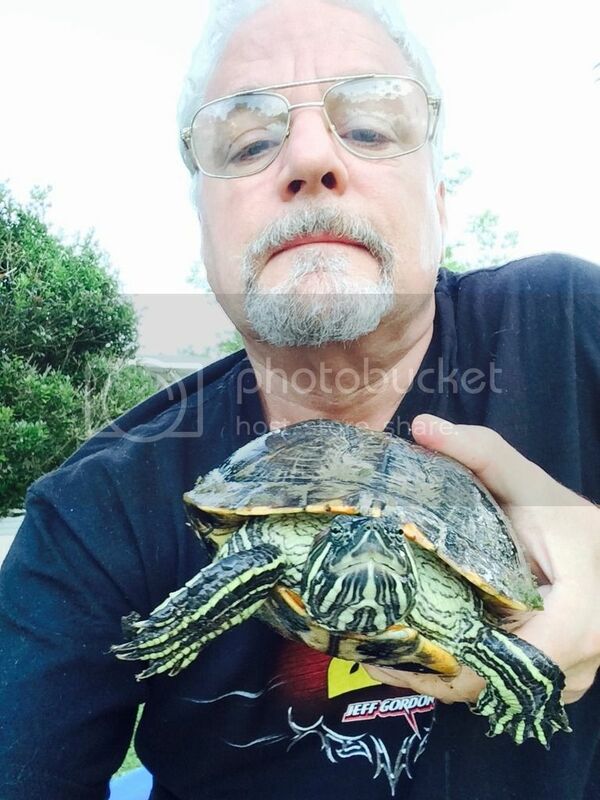 Dar is the turtle whisperer. I fed the first few but after that she was to first to feed almost all of the rest. There was one old softshell that she refused to hand feed. Goldie was the least experienced and could get fairly aggressive. She was huge. Beautiful pictures. I loved your story. This was Vader, he was a very gentle soul. He was not shy but he wasn't pushy either, just what I would call laid back kind of guy. I guess he is probably what you call melanistic too? I just got the impression Jet was younger and this old guy was old. He was pretty big for a YB male. My male RES turned melanastic pretty early, so it's hard to judge their age. Vader is a bit big, though I would have guessed female if it weren't for those claws. 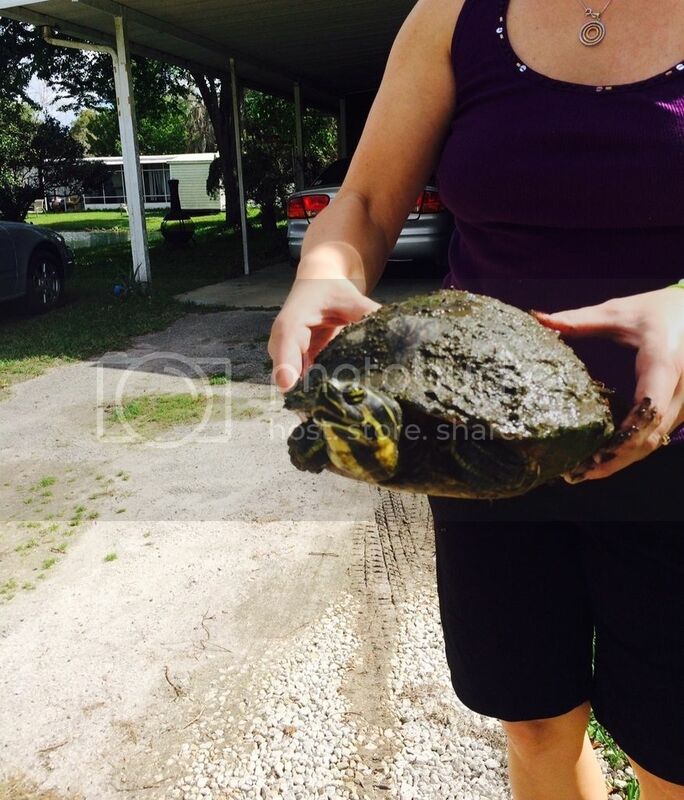 Well Vader is a Florida Yellow Belly, they do get much bigger then RES turtles. Male Adult Yellow bellies in our pond were slightly bigger then the adult female RES. They had more of an elongated shell then The RES. did. Hmmmm looking at this picture more, I wonder if Vader was a Red Belly male. Just looking at his redness underneath.. That would explain his size. 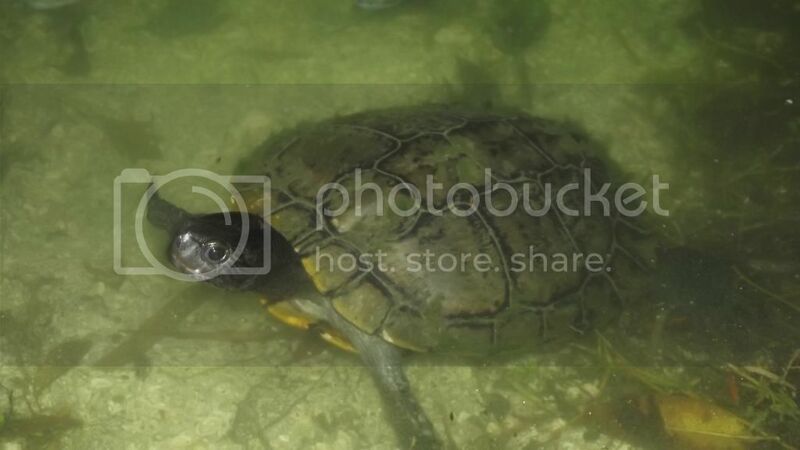 His head looks like a Red Belly too..
Wow, so many turtles I love it! You are a very fortunate man. 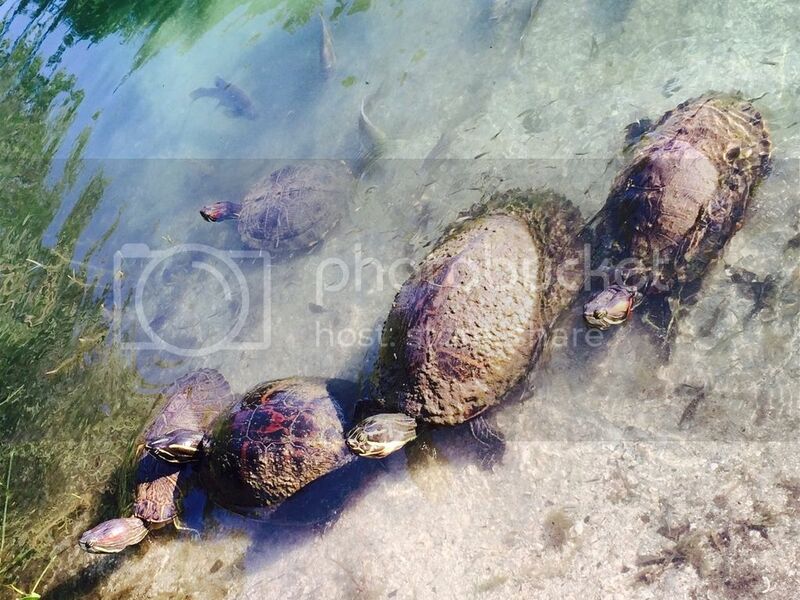 To have an easy access to several ponds, and meeting a whole generation of turtles yearly is something only one could ever dream of, especially for a turtle hobbyist. "You can never cross the ocean until you have the courage to lose sight of the shore."